Angela Ki Che Leung joined the Hong Kong Institute for the Humanities and Social Sciences in January 2011 as its first full-time director. She received her B.A. in history at the University of Hong Kong and her doctoral degree (History) at the École des Hautes Études en Sciences Sociales (EHESS), Paris. She was research fellow at the Academia Sinica of Taipei and has taught in the History Department of the National Taiwan University until 2008 when she became the Chair Professor of the History Department of the Chinese University of Hong Kong. In July 2010, she was elected Academician of the Academia Sinica. Her present research focus is on medical culture in South China, in particular the Canton/ Hong Kong region, in the global and colonial context in the late 19th and early 20th Centuries. Her broader interests are on the history and social science study on science, medicine and technology in pre-modern and modern East Asia. She has published books and articles in English, Chinese and French on charitable organizations in the Ming-Qing period and on the history of medicine and diseases in China of the late imperial and modern periods. Her recent publications include Leprosy in China: A History (Columbia University Press, 2009), Health and Hygiene in East Asia: Policies and Publics in the Long Twentieth Century (co-editor: Charlotte Furth) (Duke University Press, 2010), and Gender, Health, and History in Modern East Asia (Co-edited with Izumi Nakayama) (Hong Kong University Press, 2017). She is currently co-editing a book volume on “Moral Foods: The Construction of Nutrition and Health in Modern Asia” with Melissa L. Caldwell contracted by the University of Hawai’i Press. Leung is also leading a collaborative project on everyday technologies in the making of modern East Asia. 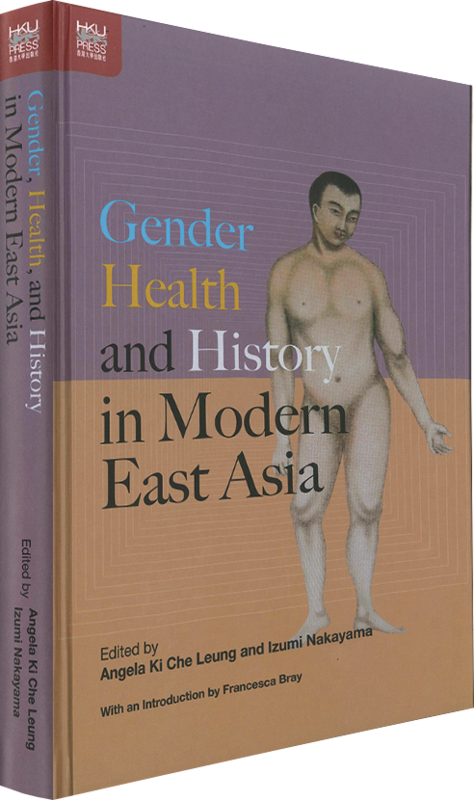 2017 Gender, Health, and History in Modern East Asia (co-edited with Izumi Nakayama), HKU Press, 336 pages. 2017 Bian zhong mou wen: Míng qing zhi jindai de qimeng jiaoyu yu shi shan jipín (Seeking Stability in Times of Change: Elementary Education and Charities in Late Imperial and Modern China), Shanghai: Shanghai People’s Publishing House, 241 pages. 2012 Miandui jibing: Chuantong zhongguo shehui de yiliao guannian yu zuzhi (In Face of Illness), Beijing: China Renmin University Press, 340 pages. 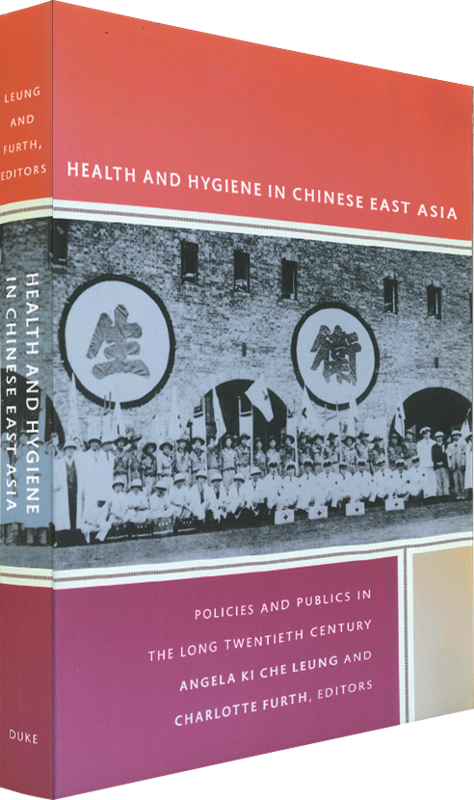 2010 Health and Hygiene in Chinese East Asia: Policies and Publics in the Long 20th Century, Durham: Duke University Press, 337 pages. [co-edited with Charlotte Furth]. 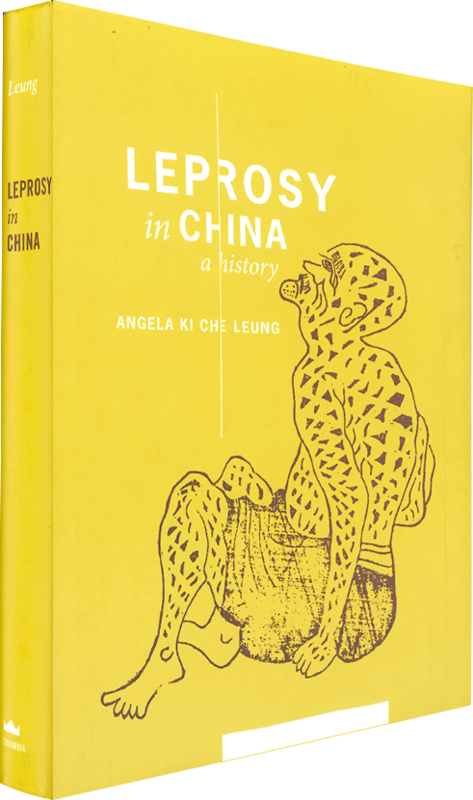 2009 Leprosy in China. A History, NY: Columbia University Press, 373 pages. 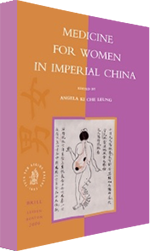 2006 Medicine for Women in Imperial China, Angela KC Leung (ed. ), Leiden: Brill, 212 pages. 2005 Funu yu shehui (Women and society), Leung and Lee (Jen-der) (eds. ), Beijing: Zhongguo da baike quanshu chubanshe. 2001 Shishan yu jiaohua: Ming-Qing di cishan zuzhi (simplified character edition). Shijiazhuang: Hebei jiaoyu chubanshe. 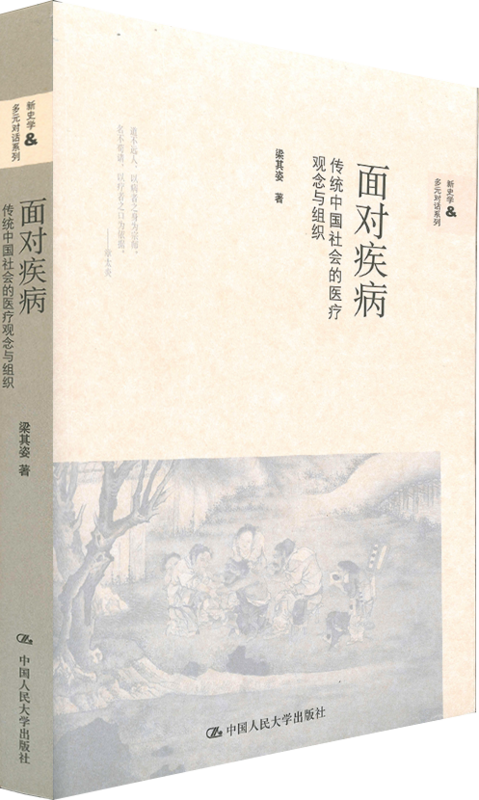 1997 Shishan yu jiaohua: Ming-Qing di cishan zuzhi (Charity and Moral Transformation: Philanthropic Organizations of the Ming and Qing periods), Taipei: Linking Publishers, 380 pages. 1989 Nianjian lishi xuepai lunwen xuanji. (Translation of articles of the Annales School), Ki Che Angela Leung (ed. ), Taipei: Yuan-liu ch’u-pan-she. 2017 “Weak Men and Barren Women: Framing Beriberi/Jiaoqi/Kakké in Modern East Asia, ca. 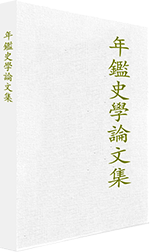 1830-1940”, in Angela Ki Che Leung and Nakayama (eds. ), Gender, Health, and History in Modern East Asia, Hong Kong: HKU Press, pp. 195-215. 2016 “Strategies of a Biomedical Hospital in 19th-century Canton: Materiality Advertised in Qizheng lüeshu 奇症略述 (Brief Account of Extraordinary Clinical Patterns), 1866”, Études chinoises, Vol. XXXV-1, pp. 175-196. 2015 “Charity, Medicine, and Religion: The Quest for Modernity in Canton (ca. 1870-1937)”, in V. Goossaert, J. Kiely, and J. Lagerwey (eds. ), Modern Chinese Religion II (1850-2015), Vol. 2. Leiden/Boston: Brill, pp. 579-612. 2015 “Mingqing shehui zhong de yixue fazhan”, (Medicine in Ming-Qing Society), in Shengming yiliao shi yanjiu shi (Research Group of the History of Health and Healing) (ed. 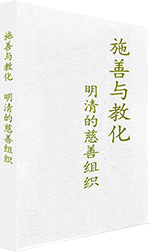 ), Zhongguo shi xinlun: Yiliao shi fen ce(A New Chinese History: Volume on History of Medicine), Taipei: Linking Publishing, pp. 307-336. 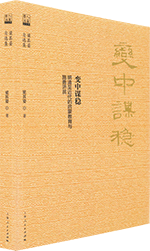 2015 “Japanese Medical Texts in Chinese on Kakké in the Tokugawa and Early Meiji Periods”, in Benjamin A. Elman (ed. ), Antiquarianism, Language, and Medical Philology: From Early Modern to Modern Sino-Japanese Medical Discourses, Leiden: Brill, pp.163-185. 2013 “The Yuan and Ming Periods”, in TJ Hinrichs and Linda L. Barnes (eds), Chinese Medicine and Healing: An Illustrated History, Cambridge: Harvard University Press, pp. 129-159. 2013 “Jindai Zhongguo yiyuan de dansheng” (The birth of the modern Chinese hospital), in Zhu Pingyi (ed. ), Jiankang yu shehui: huaren weisheng xinshi (Health and society: a new history of health in China), Taipei: Linking Publishing, pp. 41-68. 2011 “Daotang hu? Shantang hu? Qingmo Minchu Guangzhou chengnei Xinggong Caotang di dute moshi” (Daoist temple or charitable hall? The unique model of the Xinggong Caotang in Guangzhou city centre), in Chen Yung-fa (ed. 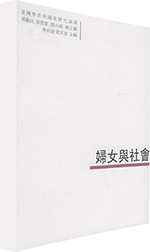 ), Mingqing diguo ji qi jin-xian dai zhuan xing (The Ming-Qing Empire and its transformation in the modern period), Taipei : Asian Culture, pp.395-434. 2010 “The evolution of the idea of chuanran contagion in Imperial China” in Angela KC Leung and Charlotte Furth (eds. ), Health and Hygiene in Chinese East Asia: Policies and Publics in the Long Twentieth Century, Durham: Duke University Press, pp. 25-50. 2008 “Cong laibing shi kan Zhongguo shi di tese” (Looking at the characteristics of Chinese History through the history of the lai disorder), in Li Jianmin (ed. ), Cong liliao shi kan Zhongguo shi (Chinese history through the history of medicine), Taipei: Linking Publishers, pp. 297-329. 2008 “The business of vaccination in 19th century Canton”, Late Imperial China. 29.1 Supplement, pp. 7-39. 2007 “Yiliao shi yu Zhongguo xiandaixing wenti” (Medical history and the question of modernity in China”, Zhongguo shehui pinglun 8 (2007):1-18, Beijing: Tianjin guji chubanshe. 2006 “Introduction”, in special issue on Chinese history, Annales, Histoire, Science Sociales 2006 (Nov-Dec), no. 6, pp. 1253-57. 2006 “Dignity of the nation, gender equality, or charity for all? Options for the first modern Chinese women doctors” in S. Chien and J. Fitzgerald (eds. ), The Dignity of Nations, Equality, Competition, and Honor in East Asian Nationalism, Hong Kong: Hong Kong University Press, pp. 71-91. 2006 “Recent trends in the study of medicine for women in Imperial China”, in Angela Ki Che Leung (ed. ), Medicine for Women in Imperial China, Leiden: Brill, pp. 110-126. 2005 “The introduction of segregation in modern China: the case of leprosaria” , in Les nouvelles pratiques de santé, XVIIIe-XXe siècles, P. Bourdelais et O. Faure (eds. ), Paris : Belin, pp. 309-324. 2003 “Mafeng geli yu jindai Zhongguo” (The segregation of lepers in Modern China), Lishi yanjiu, Beijing, 5, pp. 3-14. 2003 “L’instruction medicale et sa vulgarisation dans la Chine des Ming et des Qing”, (A slightly different French version of “Medical Instruction and Popularization in Ming-Qing China”), Education et instruction en Chine. II, C. Nguyen Tri & C. Despeux (eds. ), Paris: Editions Peeters, pp. 89-114. 2003 “Medical Instruction and Popularization in Ming-Qing China”, Late Imperial China, 24/1, pp. 130-152. 2003 “Medical Learning from the Song to the Ming”, The Song-Yuan-Ming Transition in Chinese History, Smith & von Glahn (eds. ), Harvard University Asia Center, pp. 374-398. 2002 “Jibing yu fangtu zhi guanxi: Yuan zhi Qing jian yijie di kanfa” (Illness and environment, views of Ming-Qing doctors), Xingbie yu yiliao (Gender and medicine), Committee of the Third International Conference on Sinology, Academia Sinica. Institute of Modern History, pp. 165-212. 2001 “la Medicina nella societa Ming” in K. Chemla (ed. ), Storia della socienza. Vol. II Cina, India, Americhe, Istituto della Enciclopedia Italiana, pp. 511-516. 2001 “Hygiene et sante publique dans la Chine premoderne”, Les hygiénistes: enjeux, modèles et pratiques, P. Bourdelais ed. Paris: Belin, pp. 343-371. 2001 “Song-Yuan-Ming di difang yiliao ziyuan chutan” (A preliminary study on local medical resources of the Song-Yuan-Ming dynasties), Zhongguo shehui lishi pinglun (Review of Chinese Social History), 3, Beijing: Zhonghua shuju, pp. 219-237. 2000 “Prostitution in Modern Shanghai: Two Recent Studies”, Nan Nü, pp. 180-187. 1999 “Women practicing medicine in pre-modern China”, Chinese Women in the Imperial Past: New Perspectives, H. Zurndorfer (ed. ), Leiden: Brill Academic Publishers, pp. 101-134. 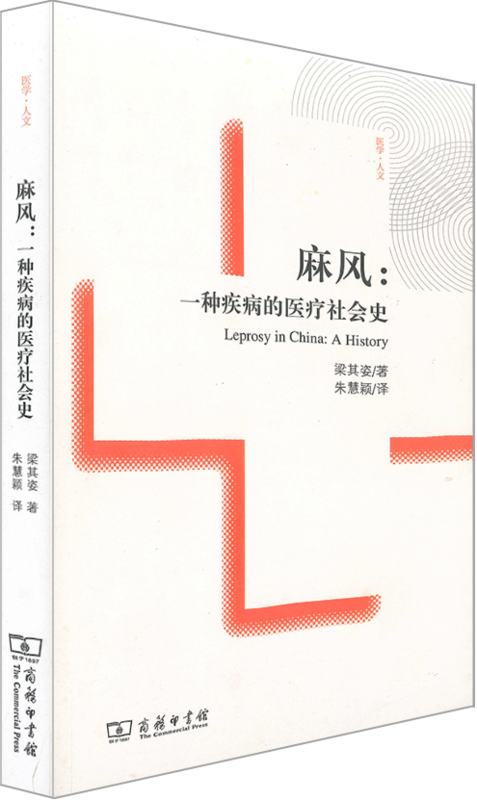 1999 “Mafeng bing gainian yanbian di lishi” (The historical nosology of li/lai in China), Bulletin of the Institute of History and Philology, Academia Sinica, 70-2, pp. 399-438. 1999 “Sanzijing li lishi shejian di wenti” (The problem of time in the primer Three-Word Classic), Shijian, lishi yu jiyi (Time, history, and memory), Y. K. Huang (ed. ), Taipei: Institute of Ethnology, Academia Sinica, pp. 31-74. 1997 “Medical Ethics in China”, in Encyclopaedia of the History of Science, Technology, and Medicine in Non-Western Cultures, H. Selin (ed. ), Dordrecht: Kluwer Academic Publishers, pp. 667-669. 1996 “Variolisation et vaccination dans la Chine pre-moderne (1570-1911)”, Penser la médecine (On the occasion of the 100th anniversary of the death of Pasteur), B. Fantini & A-M Moulin (eds. ), Paris: Fayard, pp. 57-70. 1996 “Variolation and vaccination in Late Imperial China, ca. 1570-1911”, Vaccinia, Vaccination, Vaccinology. Jenner, Pasteur and their successors, S. Plotkin & B. Fantini (eds. ), Paris: Elsevier, pp. 65-71. 1995 “Relief Institutions for Children in Nineteenth-century China”, Chinese Views of Childhood, A.B. Kinney (ed. ), University of Hawaii Press, pp. 251-278. 1994 “Qing dai di xizi hui” (Association for treasuring written characters of the Qing dynasty), Hsin-shih hsüeh,, 6-2, pp. 83-115. 1994 “Elementary Education in the Lower Yangtze Region in the 17th and 18th Centuries”, Education and Society in Late Imperial China, B. Elman & A. Woodside (eds. ), Berkeley: University of California Press, pp. 381-416. 1993 “To Chasten Society: The Development of Widow Homes in the Ch’ing, 1773-1911”, Late Imperial China 14-2, pp. 1-32. 1993 “Pinqiong yu qiongren guannian zai Zhongguo sushi shehui zhong di lishi bianhua” (The evolutions of the concepts of “poverty” and “the poor” in Chinese secular society), in Renguan, yiyi yü shehui (The idea of Man. Meaning and society), Y. K. Huang ed. Taipei: Institute of Ethnology, Academia Sinica, pp. 129-162. 1993 “Diseases of the Premodern Period China” in Cambridge World History of Human Diseases, K.F. Kiple (ed. ), Cambridge University Press, pp. 354-362. 1993 “Min-Shin jidai no chiiki elito to shakai” (Local elites and society in the Ming-Qing period), Chugoku - shakai to bunka , 5, pp. 158-171. 1989 “Qing dai cishan jigou yu guanliao ceng di guanxi (Charitable institutions and the bureaucracy under the Qing)”, Bulletin of the Institute of Ethnology, Academia Sinica, 66, pp. 85-102. 1987 “Ming Qing yufang tianhua cuoshi zhi yanbian (Smallpox preventive measures during the Ming and the Qing)”, Kuo-shih lun-ts’ung. Taipei: Shih-huo ch’u-pan-she, pp. 239-253. 1987 “Organized Medicine in Ming-Qing China: State and Private Medical Institutions in the Lower Yangzi Region”, Late Imperial China, 8-1, pp. 134-166. 1986 “Ming mo Qing chu minjian cishan huodong di xingqi (The rise of private philanthropic activities during the late Ming and early Qing period)”, Shih-huo Monthly, XV-7/8, pp. 52-79. 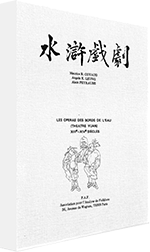 1985 “L’accueil des enfants abandonnes dans la Chine du Bas-Yangtze aux XVIIe et XVIIIe siecles”, Etudes chinoises, IV-1, pp. 15-54. 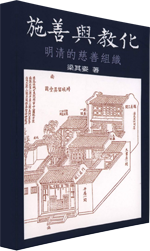 1984 “Shiqi shihba shiji Changjiang xiayou zhi yuyingtang (Foundling homes in the lower Yangtze area in the 17th and 18th centuries)”, Zhongguo haiyang fazhan shi lunwen ji, (Chinese maritime history I), Taipei: ISSP, Academia Sinica, pp. 97-130. 1984 “Sexualite et sociabilite dans le Jin Ping Mei, roman erotique chinois de la fin du XVIe siecle”, Social Science Information, 23, pp. 653-676. 1984 “Autour de la naissance: la mere et L’enfant en Chine aux XVIe et XVIIe Siecles”, Cahiers Internationaux de Sociologie, 76, pp. 51-69, Paris. 1984 “Xintai lishi (History of the mentalités)”, Shixue pinglun, April, pp. 75-97. 1983 “L’amour en Chine. Relations et pratiques sociales aux XIIIe et XIVe siècles”, Archives des sciences sociales des religions 56-1, pp. 59-76. 1980 Unpublished PhD. dissertation: “La cooperation agricole en Chine dans les bases communistes pendant la guerre anti-japonaise (1937-45)”. Paris, E.H.E.S.S. 2019 Review on Novel Medicine: Healing, Literature, and Popular Knowledge in Early Modern China by Andrew Schonebaum, The Journal of Asian Studies, Volume 78, Issue 1 - February 2019, Cambridge University Press, pp. 179-180. 2015 Review on Between Birth and Death: Female Infanticide in Nineteenth-Century China by Michelle T. King, The Journal of the History of Childhood and Youth, Vol. 8 (No.2), United States: Johns Hopkins University Press, pp. 324-5. 2015 Review on Technology, Gender and History in Imperial China: Great Transformations Reconsidered by Francesca Bray, East Asian Science, Technology and Society: An International Journal, Vol. 9, No.3 (September 2015), Durham: Duke University Press, pp. 319-321. 2014 Review on Imperial Contagions: Medicine, Hygiene, and Cultures of Planning in Asia, edited by Robert Peckham and David M. Pomfret, Technology and Culture, Vol. 55 (October 2014), United States: John Hopkins University Press, pp. 1016-7. 2012 Review on Médicine, religion et société dans la Chine medieval: Étude de manuscrits chinois de Dunhuang et de Turfan by Catherine Despeux, ed., Han-hsueh yen-chiu (Chinese Studies), Vol. 30, No. 2 (June 2012), Taipei: Center for Chinese Studies, pp. 315-320. 2012 Review on Other-Worldly: Making Chinese Medicine through Transnational Frames by Mei Zhan, Isis, Vol. 103, No. 1 (March 2012), The University of Chicago Press, pp. 215-216. 2011 Review on 2010 Wu Yili, Reproducing Women: Medicine, Metaphor, and Childbirth in Late Imperial China, Berkeley and Los Angeles: University of California Press, in Journal of Chinese Studies, Vol. 53, pp. 347-350. 2007 Review on 2006 Sarah Schneewind, Community Schools and the State in Ming China, Stanford U Press, in Harvard Journal of Asiatic Studies, pp. 464-468. 2006 Review on 2006 A. Kleinman and J. Watson (eds. ), Sars in China, Prelude to Pandemic in Pacific Affairs, pp. 309-311. 2004 Review on 2001 Elisabeth Hsu (ed. ), Innovations in Chinese Medicine, Cambridge University Press in Isis, 95: 1, pp. 108-109. 2003 Review on 2000 L. Conrad and D. Wujastyk (eds. ), Contagion: perspectives from pre-modern societies, Aldershot, Ashgate in Medical History, 47/4, pp. 545－546. 1996 Review on 1994 Dorothy Ko, Teachers of the Inner Chamber: Women and Culture in 17th Cenutry China in Jounral of the Economic and Social Hisotry of the Orient, Vol. 39, no. 4, pp. 471-473. 1995 Review on 1992 Pierre-Henri Durand, Lettres et Pouvoirs: Un proces littéraire de Dans la Chine impériale in Étude chinoises, vol. XIV, n 1, printemps, pp. 179-183. 1992 Review on 1991 Francoise Lauwaert, Recevoir, conserver, transmettre: l’ adoption dans l’ histoire de la famille chinoise. Aspects religious, sociaux et juridiques in Étude chinoises, Vol. XI, n 2, pp. 187-191. 1991 Review on 1989 Janice Stockanrd, Daughters of the Canton Delta, Marriage Pattern and Economic Strategies in South China 1860-1930 and 1990 Heln Siu, “ Where were the Women? Rethinking Marriage Resistance and Regional Culture in South China”, Late Imperial China Vol. 11, no. 2. in Hsin shih hsueh, Vol. 3, no. 4, pp. 163-168. 1990 Review on 1989 Willian T. Rowe, Hankow, Conflict and Community in a Chinese City 1796-1895, in Hsin shih hsueh Vol. 1, no. 3, pp 141-149. 1990 “Zhongguo Ming Qing shiqi di tongsu wenhua”, Review on Popular culture in Late Imperial China, D. Johnson, A. Nathan, E. Rawski (eds. ), University of California Press, 1985, Hsin shih hsueh 1-1, pp. 145-153. 1988 Review on 1982 J. Gernet, Chine et christianisme in Historical Monthly, Vol. 10, pp. 155-156. 1988 Review on 1985 F. Wakeman The Great Enterprise: the Manchu Reconstruction of the Imperial Order in Seventeenth-century China in Historical Monthly, Vol. 5, pp. 151-152. 1988 Review on 1987 Susan Naquin and Evelyn Rawski, Chinese Society in the Eighteenth Century, in Newsletter for modern Chinese history, pp.192-194.